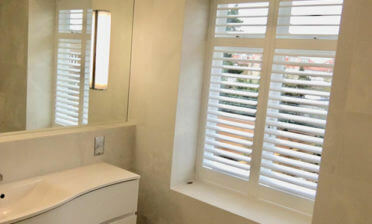 We were recently asked by a client in South West London to fit some shutters in the bathroom of their property. 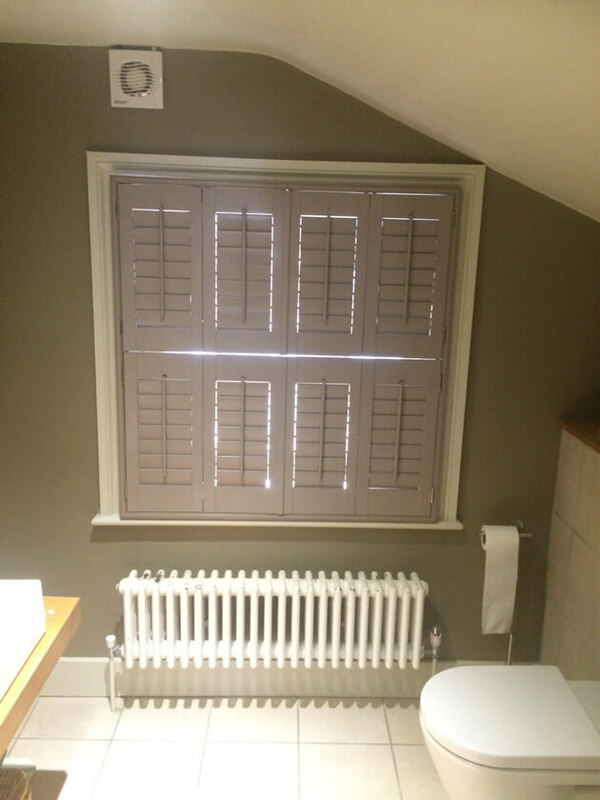 They were looking for a stylish solution which would add adjustable privacy within the room when needed. 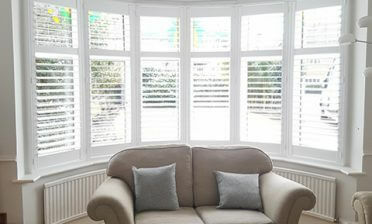 The shutters are taken from our Cuba Range which are highly durable, rigid and environmentally friendly. 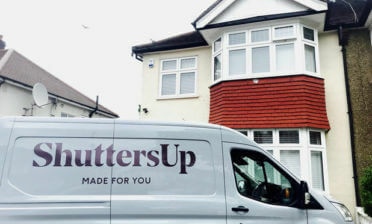 They were created in a bi folding tier on tier style which allows for greater adjustment between the top and bottom sections. 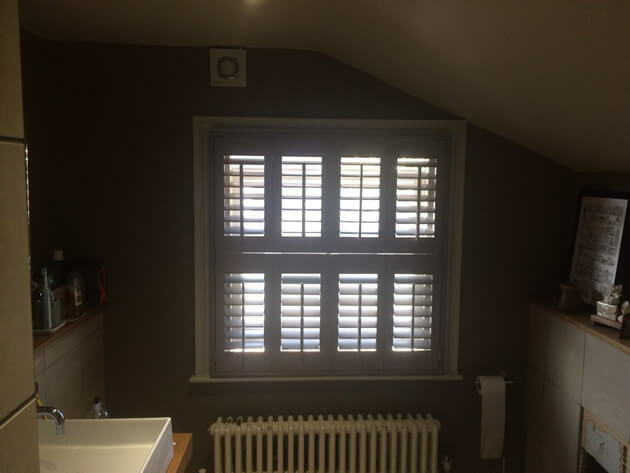 Not only can you adjust the top and bottom louvres separately but they can also be separately opened depending on the amount of light and privacy you require. 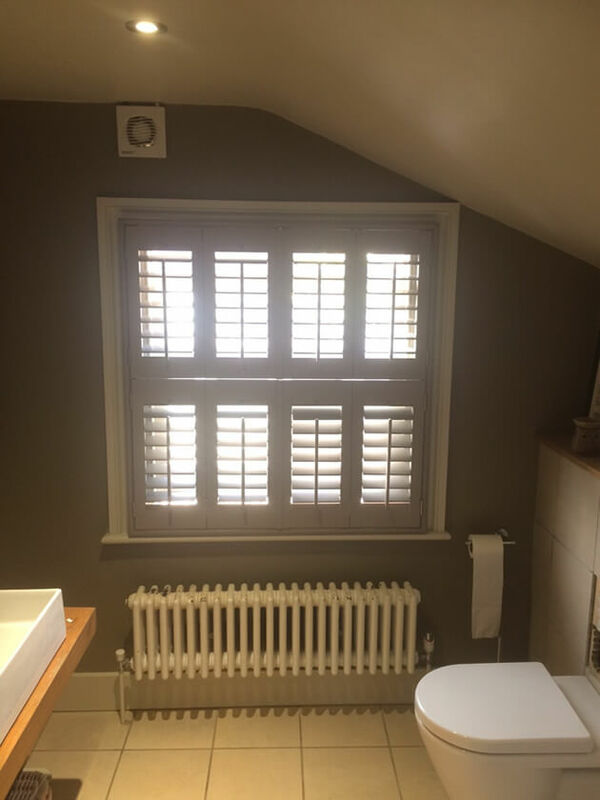 The shutters were finished in a Sea Mist paint which really looks the part in this room, complete with tilt rods on 89mm louvres and stainless steel hinges throughout.